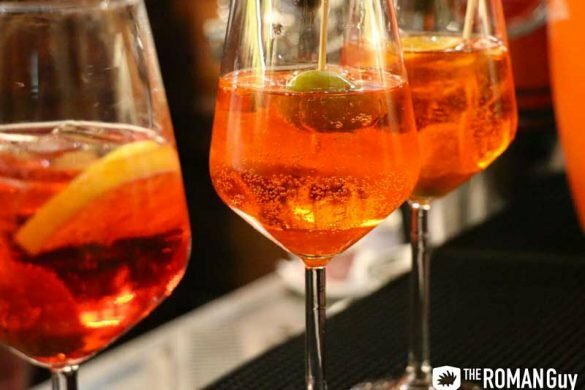 If you’re visiting Venice, then you’re most definitely thinking about visiting the Doge’s Palace and St. Mark’s Basilica. But how about climbing 323 feet up St. Mark’s Bell Tower? 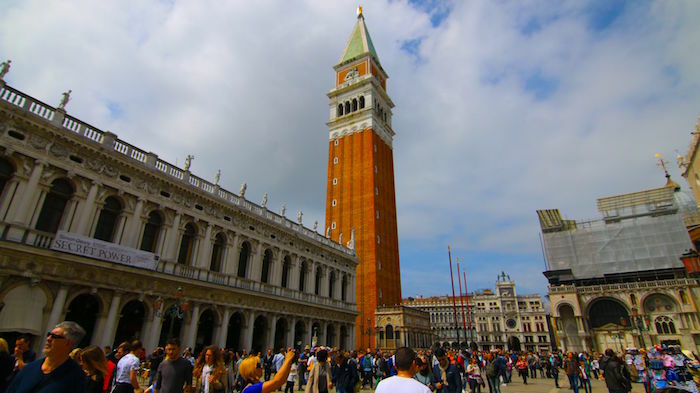 One of Venice’s iconic structures, the Campanile is open for the public to explore. Check out how to climb the St. Mark’s Bell Tower in this guide. Visiting St. Mark’s Basilica is a staple when traveling to the Floating City. 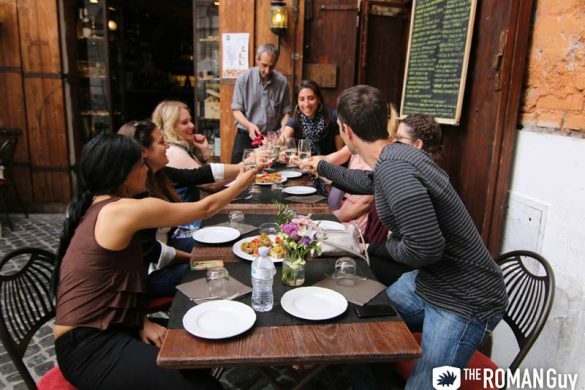 Luckily, our local guides are waiting to show you the city’s top attractions on our Skip the Line Venice tours. 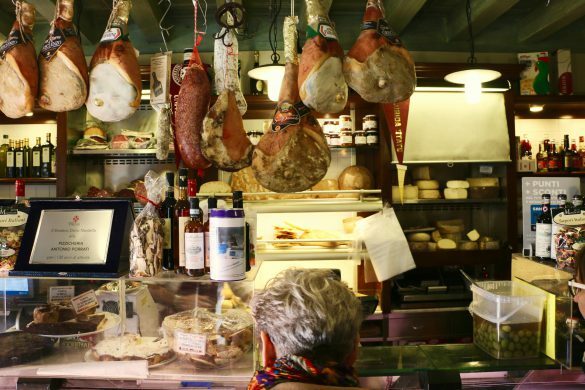 For the complete Venice experience, check out our Venice in a Day tour, and check off St. Mark’s Basilica, Doge’s Palace, and a local gondola ride off of your bucket list. Located in St. Mark’s Square, you’ll find the St. Mark’s Bell Tower, also known as the Campanile. Originally built in the 9th Century on Roman foundations, the bell tower was restored many times due to fires caused by lightning, but collapsed in 1902. It was decided that the bell tower had to be reconstructed exactly as it was, and in 1912, it was finally inaugurated on St. Mark’s Day. St. Mark’s Bell Tower is made out of brick. The belfry holds the bells and on top, you can see the symbol of St. Mark, the winged lion, as well as la Giustizia or Justice which represents Venice. The top of the tower has a pyramidal structure that holds a golden wind vane in the form of Archangel Gabriel. It is said that St. Mark’s Bell Tower was used as a watchtower. What Were the Bells Used For? There are five bells on the St. Mark’s Bell Tower and each one was rung for different reasons back in its day. The main and biggest bell was the Marangona. This bell announced the beginning and end of the working day. The Trottiera is said to have announced council meetings in Doge’s Palace for the members of the Maggior Consiglio. Then the Mezza Terza signaled for Senate meetings and the Nona sounded at midday. Finally, the smallest bell, the Renghiera, also known as the Maleficio announced executions. 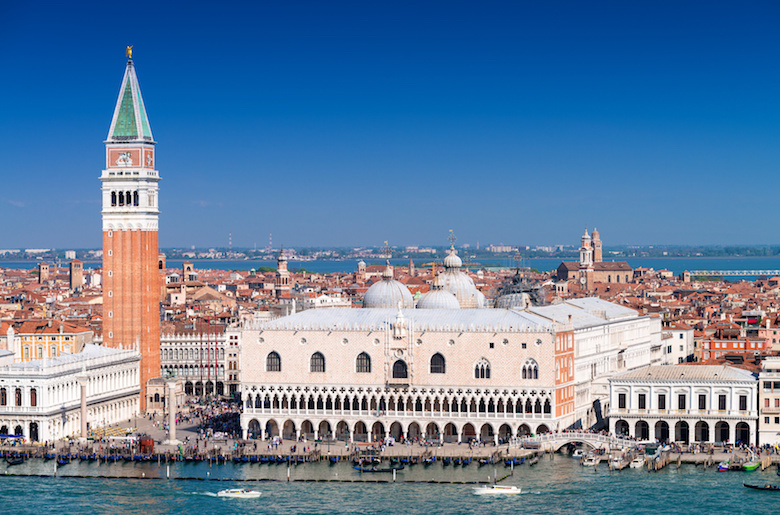 Once you go up, the view from St. Mark’s Bell Tower is one of the most impressive panoramic views of Venice. The Campanile was also used in 1609 by Galileo to demonstrate his telescope to the Doge. You’ll see a plaque to commemorate this event once you go up the tower. If you’re on the search for cool panoramic views of Venice, we also recommend visiting the bell tower of San Giorgio Maggiore. Located on a small island across St. Mark’s Square, this Campanile has the best view of the Doge’s Palace and St. Mark’s Bell Tower. Besides, the 63-meter high tower is less crowded. 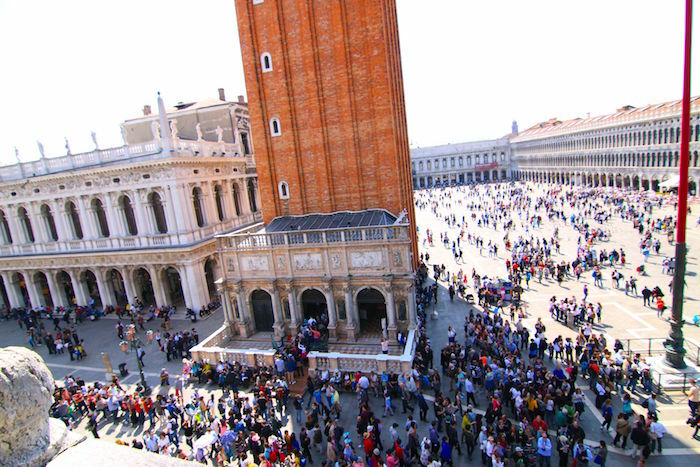 If you are planning on going up the tower after visiting St. Mark’s Basilica, we advise buying the tickets beforehand. You can do so by booking online from the official website, where you’ll be able to buy skip the line tickets for €13.00. The service to buy online tickets is available from 1 April to 2 November. You can also buy regular access tickets for €8.00, which can only be purchased on the spot. Make sure to double check the opening times on the official website due to changes on holidays. Also, take into account that the Bell Tower may close due to weather conditions.